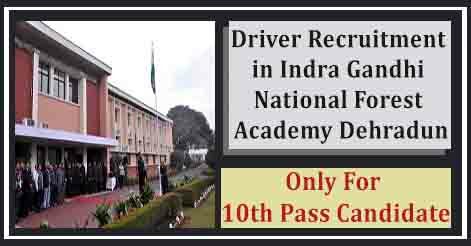 Indra Gandhi National Forest Academy (IGNFA) Dehradun has released an advertisement for recruitment of Driver. Indra Gandhi National Forest Academy Dehradun invites applications from eligible candidates for the direct recruitment. Interested candidates may apply on before 05 June 2017. Driver 01 Rs. 5200-20200 + Grade Pay INR 1900/- 35 yrs Candidate should be 10th Pass from a recognized board with valid driving licence for light & heavy vehicle. Selection of the candidates will be done on the basis of their performance in interview. Candidates may send their application along with personal details, qualification, experience. 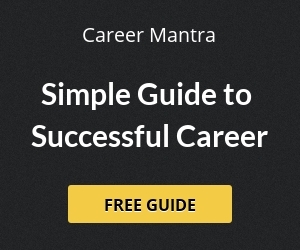 Candidates are required to attach all original certificates, testimonials, and publications etc. with the application form. The applicagtion should be reach on before 05 June 2017 to the following address. Help us to improve this article/job posting "Driver Recruitment in Indra Gandhi National Forest Academy Dehradun". We would be glad if you can comment below and provide your valuable suggestions and feedback. If this page have any wrong information/list or out of context content, then you can report us as well. Sir i have LMV license ….I can apply for the job or not……..sir pllllzzzzzz rply….. Thank you sir,for having notice of driver jobs. But in the application form (1.Name of the applicant )but they printed wrong I think soo,secondly advertisement no……it’s not available then how we have to mention it. .